Taming My Inner Fat Child : MUSTBLOGMUSTBLOGMUSTBLOG!!!!! This morning, I weighed 218. 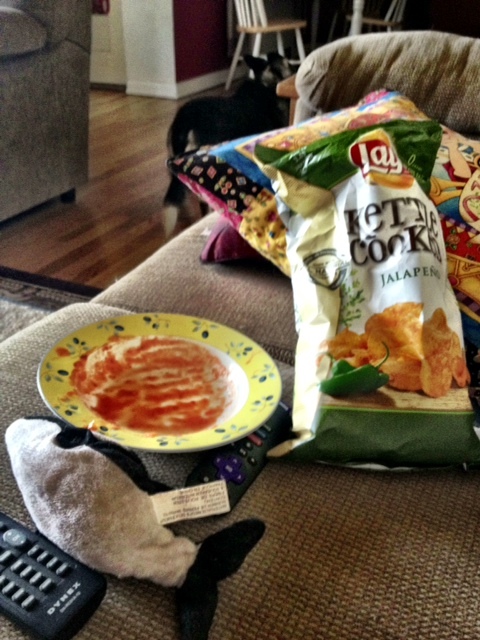 But right now, I've been sitting on the couch munching on Kettle Cooked Jalapeno potato chips and salsa. I could easily eat the whole bag. At that point, I got up and made a scrambled egg sandwich. Not the best thing to eat, but not the worse. And then I went to Curves. It's hard to walk away from things once you have started them. Hope you felt good afterwards.